The island of Hawaii always pops into almost everybody's minds whenever the phrase "tropical paradise" comes up. This is because many people usually think of crystal clear waters lapping the sandy shores of Hawaii's numerous beaches. Yes, Hawaii is the ultimate tropical paradise for many, even to locals who have spent many years on the island. And who better to trust about Hawaii's bounty than the locals who have lived, breathed, and experienced these wonders their whole life? The island state of Hawaii is actually comprised of hundreds of land formations out in the middle of the Pacific Ocean, but only Maui, Kaho'olawe, Lanai, Molokai, Oahu, Kauai, Ni'ihau, and Hawaii are considered the major isles in this state. Though Hawaii is the largest island of the group, the capital city Honolulu is situated in the isle of Oahu where a natural harbor can be found. There's so much more to Hawaii than just the traditional flower leis, rambunctious luaus, and acres of sandy beaches. If you're tired of the usual tourist fare or if you're looking to taste the real flavor of Hawaii, take a cue from the locals who can teach you a thing or two about what else the great island-state of Hawaii can offer. Hawaii is known as a food lover's paradise because local food is ono or delicious despite the seemingly simple cooking techniques and ingredients used. Hawaiian coffee is also something you should taste as this is the only US state that produces coffee. Fresh and succulent tropical fruits such as pineapples from the hectares of pineapple plantations let you experience bliss through your taste buds. Macadamia nuts, those delectable seeds that taste of exotic lands, are common fare in the islands and can even be sampled in the famous banana-macadamia nut pancakes of Hawaii. Boots and Kimo Homestyle Kitchen in Kailua serves the best of this sweet delicacy. Because this tropical paradise is found in the middle of the Pacific ocean, its unique location gives its inhabitants and its visitors easy access to abundant seafood. If tacos are common fare in Mexico, then shrimp is its equivalent in Hawaii. Shrimp trucks sell these tender crustaceans with rice and sidings to customers who eat these by the roadside. Various succulent dishes with seafood bases are also plentiful in Hawaii. Seafood can also best be enjoyed through one of the famous dishes called the poke. A poke lets diners taste the pure and unadulterated taste of the sea through chunks of raw salmon, ahi, or shrimp mixed with an assortment of herbs and pickled vegetables. Drop by the Therapy Sports Grill in East Honolulu for a mouth-watering poke sampler, as well as to have a taste of other Hawaiian delicacies. Aside from their love for seafood, the locals are also known for their love for dishes made from meat, and we're not just talking about their penchant for Spam. One of the most famous Hawaiian dishes is the Kalua pig, or slow-roasted pork cooked in a covered pit, a delicacy that is guaranteed to be the centerpiece of a spread in luaus. Vegetables such as taro and yam also figure largely in the native delicacies, which are usually cooked with coconut milk for a hearty signature flavor from the islands. To help keep your cool during the hot summer months, enjoy a truly Hawaiian treat by sampling shaved ice from the various establishments in Hawaii. Sure, shaved iced may seem like a too-ordinary treat, but if you throw in luscious flavors that scream Hawaii such as lychee, pineapple, or guava, a scoop of ice cream at the bottom, and a generous drizzling of li huing mui syrup, you'll surely feel like you're eating manna from heaven. Matsumoto's Shave Ice in Hawaii's Hale'iwa has been selling this delicacy for the past 60 years. Ever had ice cream Hawaii style? Then get your tongues ready for a tickling from pineapple-strawberry, coffee, and mochi ball ice cream varieties. Local brands such as Roselani Tropics Ice Cream and Tasaka Guri Guri have unique flavors that are 100% Hawaiian. Cool down while on a sunny beach or while in the bar at night with tropical cooler drinks. Pina coladas, mai tais, and other drinks may be standard bar fare in clubs and bars but these cocktails have their roots in the tropical beaches of Hawaii. Grab a tropical cocktail to cool off and get into good spirits at the bar in the Royal Hawaiian in Waikiki. Hawaii is definitely still considered by many as having the best beaches in the whole world. However, these islands offer so much more when you take the time to explore the heart of each island. If you've chosen to stay at the capital city of Honolulu, you're not far from one of the most venerable places in Hawaii. Skip the beaches and nix the beachwear for sturdy hiking boots, mosquito repellent, and comfortable clothes and prepare to get into the heart of the rainforests in Oahu. Instead of riding surfboards in the sun, ride a rental jeep and drive through the lush forests that fringe the oceansides and steep cliffs of the Manoa Valley. Scientists have found that Hawaiian rainforests are teeming with life, with about 10,000 species of flora and fauna that cannot be found in any other place on Earth except in these islands. The locals show their love and appreciation for nature's bounty by paying great respect and reverence to these natural resources. As a matter of fact, conservation parks are scattered throughout the islands, aiming to inform and educate locals and tourists alike about the uniqueness of Hawaii's natural environment. It's impossible to not spend a day at the beach when you're in Hawaii. If you're looking for a place that's a bit more quiet and less crowded, head off to Oahu's Kailua Beach Park. This beach may experience moderate winds and rainfall but it's certainly a peaceful long stretch of sand that can rejuvenate a tired traveler. Because many tourists favor the beaches found on the other side of the island that face away from the wind, you'll get to enjoy a more intimate encounter with nature without worrying about bumping into another tourist. In fact, this beach is so low-key that President Barack Obama and his family spent their vacation here. Kaupoa Beach in Molokai and Polihua Beach in Lanai are also some of the more peaceful sites many locals recommend. Other natural wonders can also be experienced throughout the other neighbor islands of Hawaii. The Waimea Canyon in Maui, considered as the largest canyon in the Pacific, is a sight to behold as numerous waterfalls and a wonderful palette of colors play across this rock basin. If you want to witness the volcanic origins of the Hawaiian islands up close, visit the Hawaii Volcanoes National Park in the Big Island. You may have seen movies and TV shows depicting the unique culture of Hawaii, but experiencing them firsthand is certainly a spectacular way of spending your vacation. Aside from changing any stereotyped perception you may have about Hawaiian culture, you'll also learn to truly appreciate the beauty of Hawaii by visiting the archipelago personally. While it's true that floral shirts are a staple in Hawaii, you'll find yourself singled out as a tourist if you wear overly colorful shirts. The trick is to dress casually so you'll blend in and get a closer feel of what Hawaiian culture really is. Fresh-flower leis are very much Hawaiian as you can expect as these flower garlands are what they use to welcome guests and celebrate special occasions. As the old adage goes, you should also do as the locals in Hawaii do, and that means speaking and understanding the local dialect. Though English is perfectly understood and spoken here, locals have certainly put their spin on the English language by incorporating some local terms. 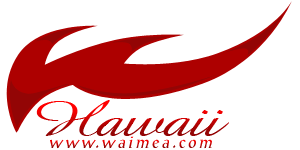 Expect to be greeted with an aloha and to utter a mahalo if you want to express your gratitude. As such, doing a bit of research before you reach Hawaiian soil regarding basic phrases can do you good. When in Hawaii, take off your shoes or slippers before you enter the home of a local, as this is a custom that conveys respect. If you're American, you should not refer to the rest of the US as "the States." Instead, use the term "the mainland" if you're referring to the larger part of the country. Though hotels and lodgings offer luau packages to guests in order to get a feel of the real deal, you should attend a luau that is held for a celebratory purpose. The festivities in non-commercial luaus are more real and heartfelt and you can get a taste not only of real Hawaiian cooking, but also of the genuine hospitality and friendship that locals are well-known for. You can also schedule your visit to Hawaii during the month of November so that you can witness first-hand the World Invitational Hula, a celebration that features hula dancers from around the world. Experience the best of Hawaiian culture by watching dancers strut their stuff as they bring to life the age-old Polynesian tradition of hula.